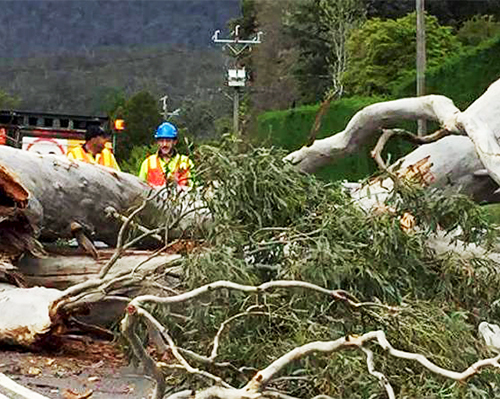 In October a huge storm hit Wandin (Vic). Locals were without power for days. 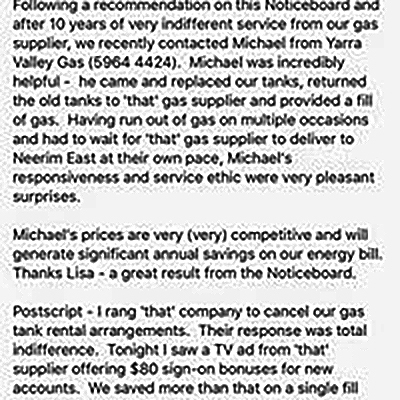 Read how the local gas refill couple made life bearable for many. Michael Alexandrou and his partner Jacqui have owned Wandin’s gas refill depot since 2006. In that time, they have built a brilliant rapport with the people of Victoria’s Yarra Valley. The Yarra Valley is cool in relation to the rest of Australia’s viticultural regions. As a result, their business is vital to townsfolk and the rural community alike. In homes, gas for heating and cooking, and in wineries for fork lifts and boilers are obvious examples. So, when a ferocious storm hit the valley on 9th October 2016, the chaos was unbelievable. Immediately, Michael and Jacqui did what so many of their able bodied friends and neighbours did. They got in and worked their butts off to help those most disadvantaged. Yarra Valley Gas is listed on our website. For all your gas needs, simply Click Here and enter WANDIN in the search box. You can ring their number 24/7. They are always busy, so you may get a recorded message. But they WILL ring you back … that’s a promise.